Towards the end of the squash baking, in a large skillet over medium high heat brown ground beef. Add in chopped onion. Saute for about 5 minutes. Stir in minced garlic, tomato sauce, and diced tomatoes. Bring to a bubble then reduce heat. Remove squash from oven. Carefully flip squash over. Divide the meat mixture into the four halves. Sprinkle Parmesan over each half. 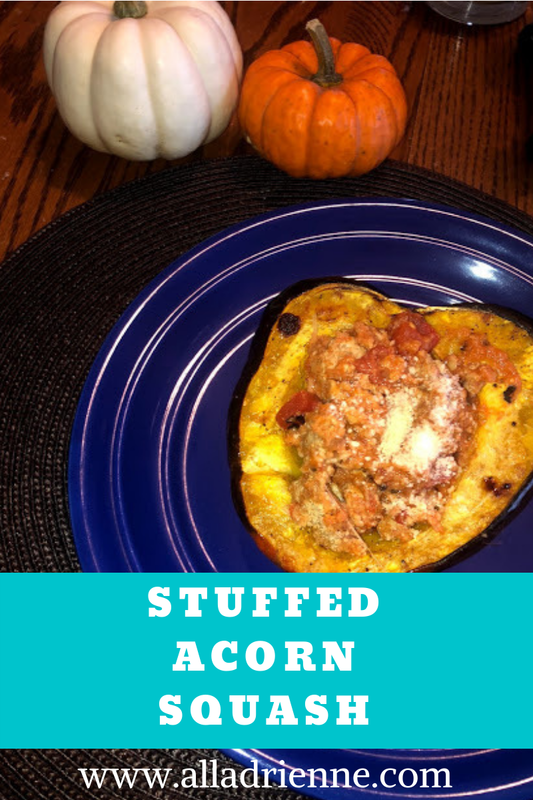 if using less acorn squash, make meatballs with the rest of meat. That sounds delicious! We've tried stuffing many vegetables but never acorn squash. Yum. Pinned.